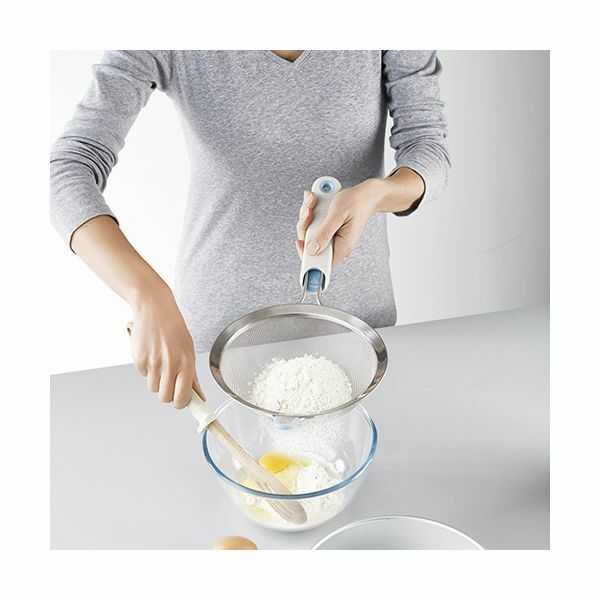 The large Shake-It Self-Tapping Sieve from Joseph Joseph allows you to mix while you sieve without having to grow an extra arm! 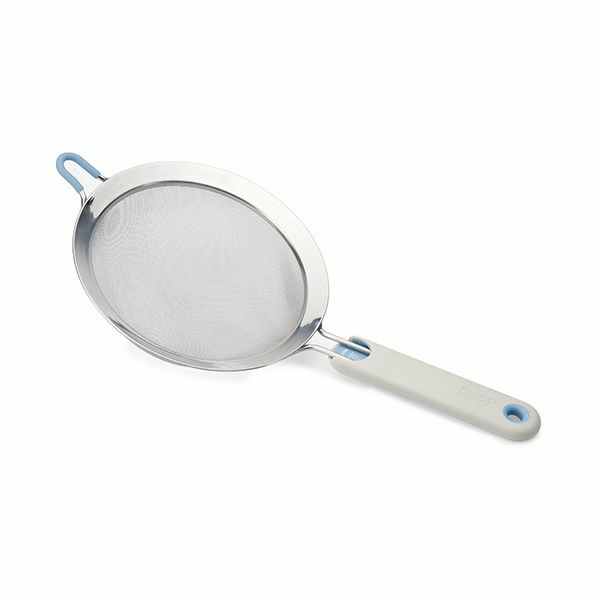 When you shake the stainless-steel sieve it will rock gently from side-to-side. When it reaches its furthest point it stops sharply, mimicking the tapping you would normally do with your other hand to release the flour. 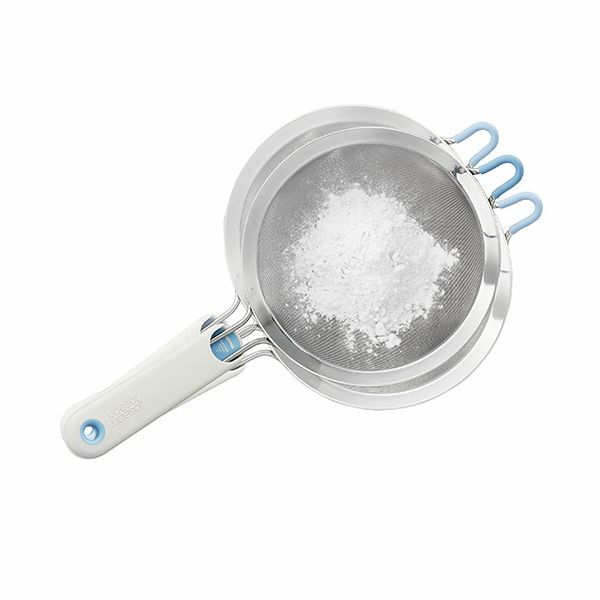 This now frees up your other hand to fold or stir whilst simultaneously sifting. Dishwasher safe (plastic handle can removed for easy cleaning). Dimensions: 41 x 20 x 7.5cms (16 x 7.75 x 3 inches).